In the footsteps of Jadon Sancho, another winger is leaving Manchester City to make a name for himself in the German Bundesliga. Dutch youth international Javairô Dilrosun will join Hertha BSC this summer for free since his contract with the new-fangled English champions was expiring. Amidst interest from top clubs such as Juventus, Benfica and Borussia Dortmund the 19-year old opted for a stay with a well-run, constant mid-table side in the form of Hertha BSC. General manager Michael Preetz commented on Dilrosun’s arrival that “they’ve been looking at him for a long time and have been following the development of Javairô intensely”. Hence, why they could compete with the European giants for his signature. 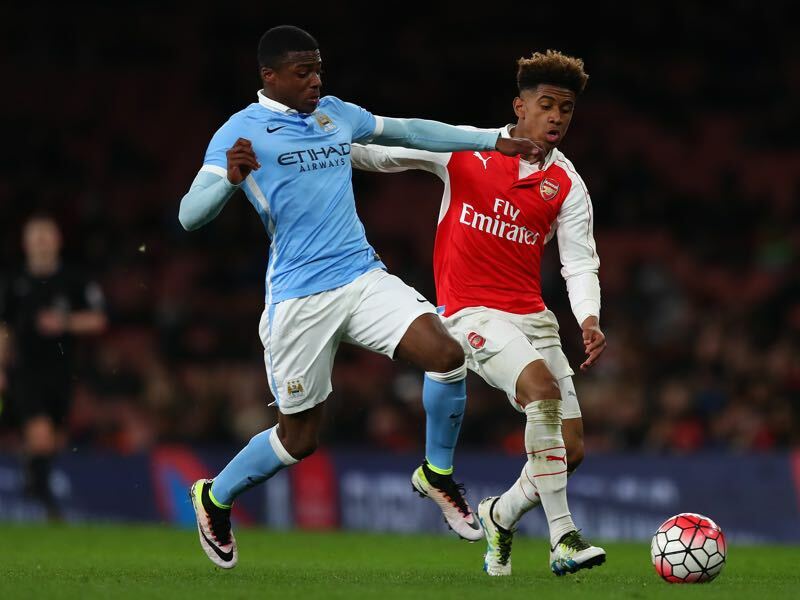 In the summer of 2014, the then 15-year old Dilrosun left Ajax for Manchester City following a trend of players with the likes of Timothy Fosu-Mensah and Rodney Kongolo amongst them. The allure and financial compensation of these top-tier English clubs proved too much temptation for these youngsters. 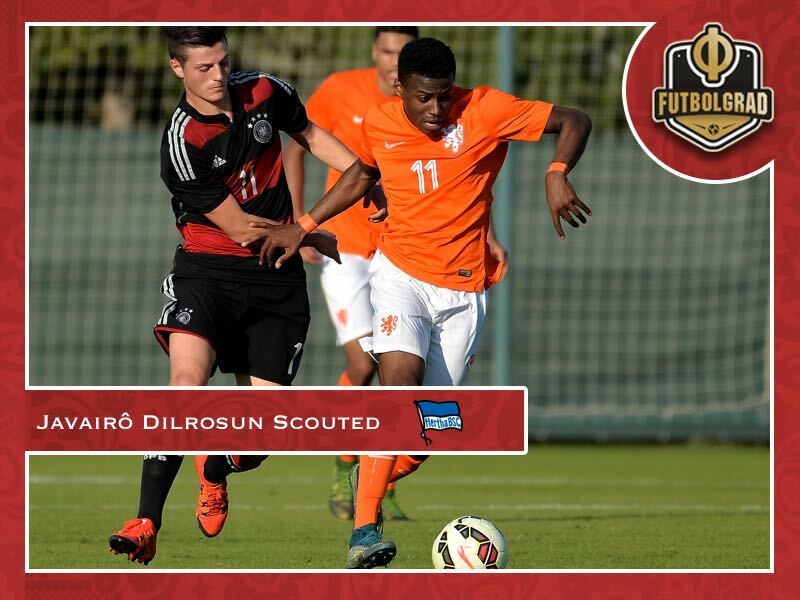 Plus Dilrosun felt he had no prospect at Ajax and felt he had to wait too long for acquiring his first professional contract. At Manchester City, primarily with the U23’s, Dilrosun proved to be a valuable asset. His quick feet and dribbling skills make him a real threat for opposing defences. Somewhat comparable to his headline capturing team-mate Leroy Sané, Dilrosun offers an immense amount of pace to the attack. He is not as much of a goal threat though, more of a pure provider. A strong UEFA Youth League campaign in 2016/17 gave the young Dutchman glimmers of hope of actually competing for first-team minutes. However, with the names Manchester City brought in, this discredited his confidence. Now the time seems right to assemble first-team minutes for a team in one of the top five European leagues and Dilrosun likely felt it was right for him to take one step back before setting two forward, as well as seeing former team-mate Jadon Sacho strive with Borussia Dortmund. Hertha, often operating in a 4-2-3-1 system, should offer him the chance of competing for the left-wing position with the likes of Salomon Kalou and another highly-rated youngster Valentino Lazaro. Moreover, he will meet ex-Citizen and fellow Dutchman Karim Rekik, who should play a role in his acclimatization process. Dilrosun will now be integrated into a Hertha side that is slowly but surely looking to go younger. Located in Germany’s capital Hertha, in fact, have struggled to project an image that is fitting to Europe’s hippest capital. As a result, Hertha will likely continue to target young stars from youth academies abroad. Players, who can be mixed in with what is one of the most promising generations of players currently coming through Hertha’s youth ranks. It is a fascinating project and one that could work out well for both Dilrosun and Hertha.